I made the short trek from Boston down to New York last month along with a longtime friend and fellow investor. 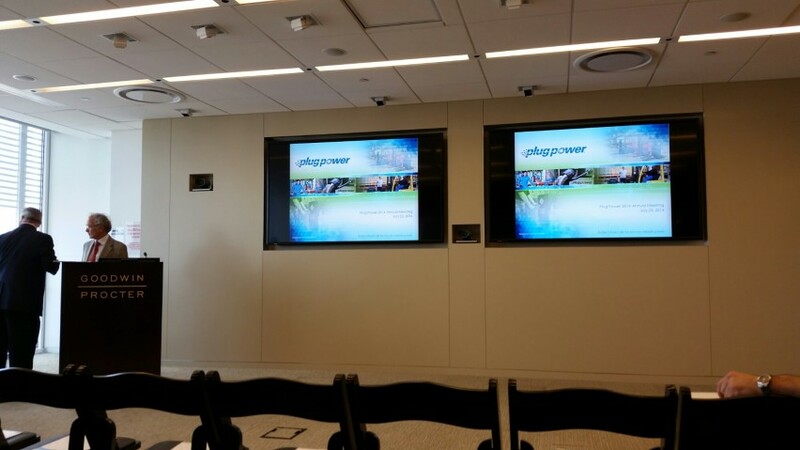 We arrived at the New York Times Building (the location of Plug Power’s annual shareholder meeting) a bit early. Andy Marsh, the company’s CEO, came over to meet with us for a few minutes beforehand. Hands down, he’s one of the most personable businessmen I’ve ever met. The fact that he’s nice is beside the point, though, since it has no impact on whether or not I continue investing in Plug Power. Target has talked to Plug Power about deploying GenDrive units in their warehouses. Just because Hyundai-Hysco and Plug Power haven’t formed an official JV doesn’t mean that they aren’t already working closely together in Asia. They are likely visiting potential customers together on a regular basis. The main hiccup with the Hyundai-Hysco JV is that neither company can find a decent value proposition for companies in Asia yet. It seems like Plug Power is deep in talks to deploy GenDrive with a company in Mexico. My guess is BMW.